Innovative in both engineering and design, this 716 foot high building exist of a soaring 46 story triangular tower, rising from a 20 story rectangular base. The entire structure is enclosed by a solar glass curtain wall. Both its unique design and incredible height maximize the views from each residence. Metropolitan Tower also provides a private dining and health club with swimming pool and unprecedented service. 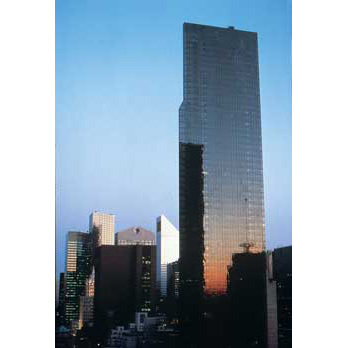 Metropolitan Tower was built and developed by Macklowe Properties.